I am seriously getting hyped with every second that sets in after reading this book. So much possibilities and awesomeness could come from this series and I am so deliriously happy. Have you started the chronicles yet? No? WHY NOT??? Alastor, the love of our previous heroine’s life, was left to the bloodied shores of lost warriors after the battle between the surface dwellers and merfolk turned for the worse. His love, Vanessa had attempted to see her people return victorious by giving them human legs, but sabotage forced Alastor to trust questionable help and go on an adventure that’s supposed to get him closer to Vanessa even if it’s in the opposite direction. I seriously loved the first book that retold The Little Mermaid’s story from Ursula’s point of view, so you can imagine how heartbroken and excited I was when I got to read her lover’s book with that heavy foreshadow in the cover and title! This is easily one of my favorite books of the year. I love retellings and Rourke just has a natural way of playing with the famous tales and making it her own. 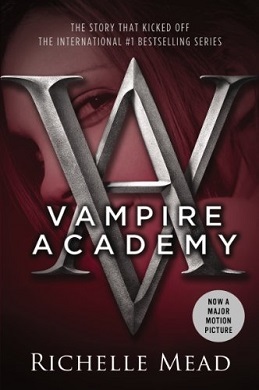 Vanessa’s story was very dark and serious with that sharp edge of romance, but Alastor’s story was surprisingly funny. I appreciated the comedy that immediately made its presence known within the first chapters, and though there were a lot of other dark stories told within this one, it was Alastor’s sarcasm and suffering with Sterling’s constant mad ramblings (I love them so freaking much) that really made the whole thing feel like the damn perfect package. Like I caaan’t right now! It was just so funny but great because of the adventures and heartfelt with the sad but necessary moments and- gah. It’s a gooey of awesomeness. The book is full of adventure and heart, and I think you’ll really enjoy this with all the twists it has on its plot and the introduced characters that take you to some very familiar places. It’s a total fantasy series you really should be reading.